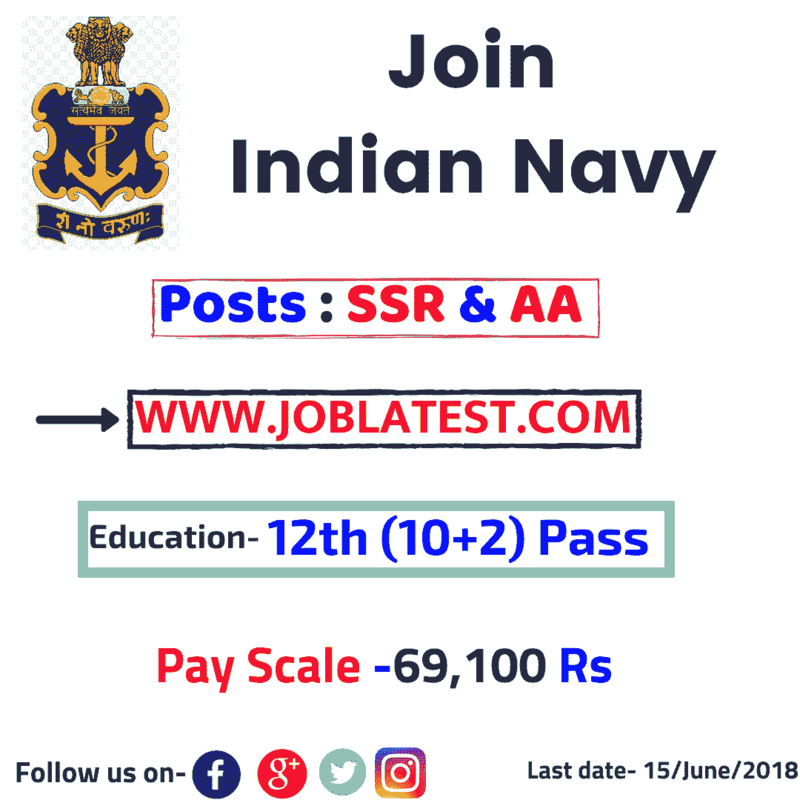 This page of latest govt jobs is formed for the vacancy of sailor under Indian Navy Recruitment 2018. 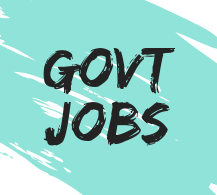 Here is a sarkari naukri for the SSR and AA posts with apply online, application fees and notification. This sarkari naukri is for the unmarried 12th pass (10+2) male candidates who has a minimum of 157 cms of height and 5 cms chest expansion. 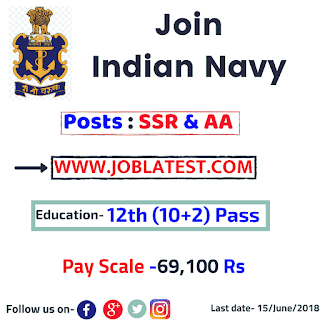 For the better understanding of Indian Navy Jobs, we categories the SSR and AA post in a separate boxes.